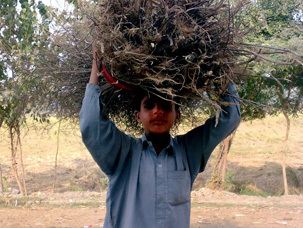 Most rural households in Pakistan remain in a state of energy poverty. 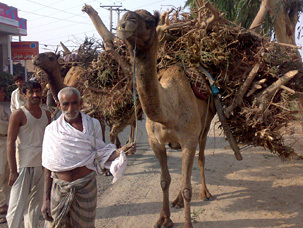 Without access to conventional energy sources like electricity and natural gas, people here, like in many corners of the globe, use a variety of non-conventional energy sources, including kerosene and traditional biomass like firewood, animal and plant waste. From existing research on rural energy access, we already know that these households can be termed energy poor, as the energy sources upon which they rely are not enough to ensure a sustainable, reliable and continuous energy supply. However, much of the research on energy poverty has focused on rural household energy expenditures, analysing how much of household income was spent on energy and the implications of this cost for household welfare. In our view, despite important contributions to our understanding of this complex phenomenon, the literature still neglected many of the physical, social, and economic aspects that are highly specific to access for each energy source and to respective household energy needs. As a step forward in the measurement of energy poverty, we developed an Energy Poverty Survey (EPS). In the EPS, we investigated the factors that have a decisive impact on the welfare of rural households when they make choices concerning energy sources and their energy mix. We came away with a new methodology we hope can serve in better understanding widespread energy poverty in the developing world. At the second level of sampling, i.e., after selecting the rural communities matching our criteria, we drew a random sample of households to ensure that households with different economic characteristics were represented in the sample. The use of traditional energy sources by rural households always comes with accompanying inconveniences that are not associated with modern sources such as electricity and gas. Our sample covered 11 major districts of Punjab province — the most populous province of Pakistan. According to the 1998 census, out of Pakistan’s total rural population of 89 million, 51 million (57%) reside in Punjab province. Also, 70 percent of the Punjab population is rural and is involved in agriculture. In our approach, energy poverty is seen as determined by two elements: the excess inconvenience associated with the energy mix used by rural households and a lack of sufficient energy to meet basic household needs — the energy shortfall. Both elements are measured relative to threshold values. The novel aspect of our new indicator is that it combines existing measures of energy shortfall in terms of kilowatt hours (kwh) with measures of inconvenience associated with the use of traditional energy sources. Finally, the indicators are calculated into our new composite index of energy poverty. The use of traditional energy sources by rural households always comes with associated inconveniences that are not associated with modern sources such as electricity and gas. From the collection of firewood, to the buying of liquefied petroleum gas (LPG), rural households are required to make extra-ordinary efforts to meet their domestic energy needs. Households with better energy access in terms of kwh are normally those who suffer highest degrees of inconvenience. In this context, we define the energy inconveniences for a household as the degree of physical difficulties or inconveniences involved in acquiring and using a particular energy source to meet household energy needs. For all 6 different types of energy sources, we identified seven dimensions of inconvenience. Five of these indicators — numbers 2, 3, 4, 5 and 7 above — are common for all energy sources. In the case of traditional biomass — which includes firewood (collected and bought), animal and plant waste — all 7 indicators mentioned above are relevant. In the case of kerosene, 6 indicators are used, including five common indicators and number 6 (household health), whereas for LPG, all common indicators are used. In our results, we found that 23.1% of rural households experience high degrees of energy inconvenience, spending ample amounts of time and effort collecting or buying different energy sources. Next, using the standard conversion units to convert different energy sources into kilowatt hours, we determined that 96.6% of rural households experience severe energy shortfalls. 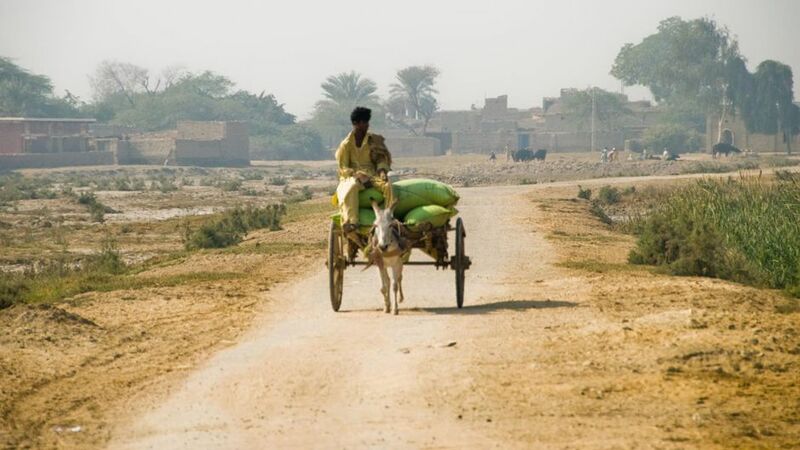 This new composite measure of energy poverty revealed that 91.7% of all rural households in Punjab province of Pakistan are in the state of severe energy poverty. One of the major objectives of our paper was to develop a universally acceptable indicator to measure widespread energy poverty in the developing world. We believe that the inclusion of inconvenience associated with the use of each energy source, in particular with traditional biomass, is important and relevant for our understanding of the complex phenomenon of energy poverty. This inclusion not only provides a social perspective on the meaning of energy poverty, but also allows for a better economic analysis. Higher inconvenience scores are an indication of higher opportunity costs associated with given sources of energy and different energy mixes. In this way, energy poverty has its impact on the potential of households to achieve higher incomes in the future. With our new methodology, we show that rural households without natural gas but with or without electricity experience high energy shortfalls across all income groups, despite enormous physical and economic efforts to overcome energy shortage. This approach provides a rich set of indicators that can be used for further research and analysis. Rural Pakistan lends insight on energy poverty by Bilal Mirza is licensed under a Creative Commons Attribution-NoDerivs 3.0 Unported License. Bilal Mirza is a PhD Researcher at UNU-MERIT since 2006 and is working on the measurement of energy poverty and its socio-economic impacts on rural households. An alumnus of Swiss Federal Institute of Technology (EPFL), he has been working on the project with Prof. Rene Kemp and Prof. Adam Szirmai at UNU-MERIT. His research interests include rural poverty measurement and alleviation, pro-poor technology and innovation policy for developing countries. Dr. Adam Szirmai is Professorial Fellow at UNU-MERIT and Professor of Development Economics at Maastricht University. His research focuses on international comparisons of growth and productivity in manufacturing in developing countries and on the changing structure of world manufacturing. A second focus of his research concerns the relationships between innovation, technological change and economic growth in developing countries. A third area of interest is that of the determinants of long-run growth and stagnation in the developing world.